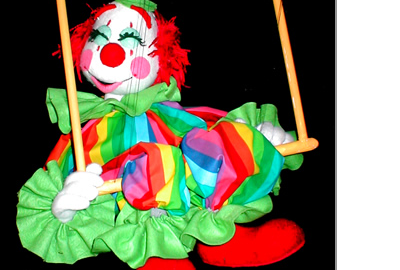 Emma Jaster in "Solo for Two"
Gus the Clown on the flying trapeze in Clowning Around. 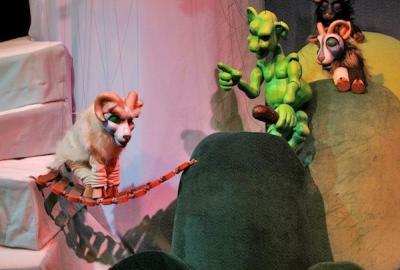 The Puppet Co. is a nonprofit organization producing Puppet Theater, especially for children, as an art form synthesizing the visual and performing arts. 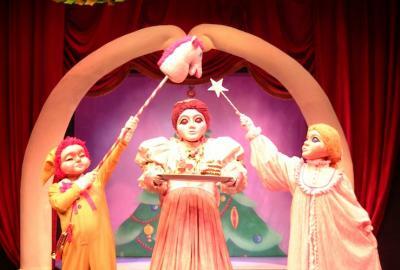 Hand puppets, rod puppets, marionettes and shadow puppets are used in the fully staged productions of the traditional and original stories that comprise its ever-growing repertory.